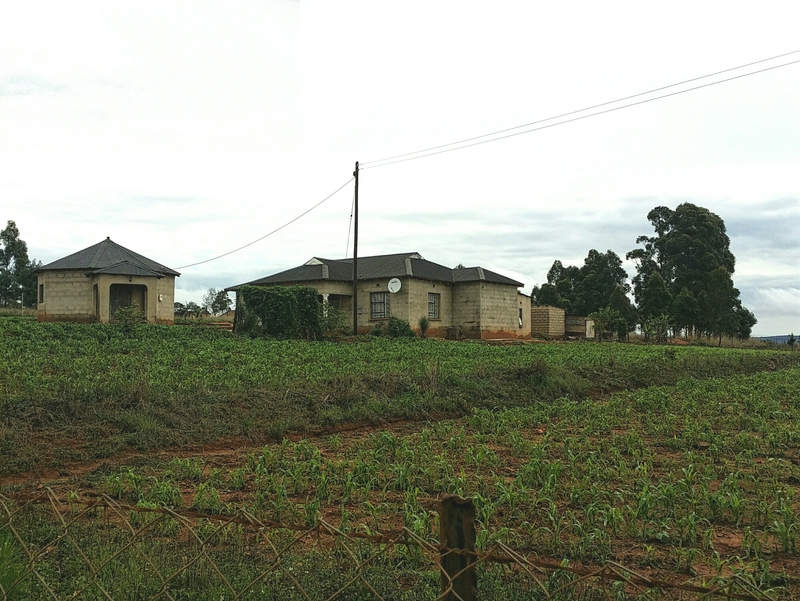 In Swaziland, we live with a host family in a rural community for the duration of our service. These communities tend to be very family oriented. Families live together on a plot of land called a homestead. Homesteads vary greatly in size, structures, and composition. There are some common elements with all homesteads around the country. I have yet to see a homestead that doesn’t have a farming space to grow crops, typically maize. Most homesteads have multiple buildings on them. On my homestead (pictured above), there’s the main house, my house, a tool house, a chicken house, a guest room, and a pit latrine. Many homesteads also have a kraal (pronounced crawl), which is where the family’s cows live. Some homesteads with many extended family members may have one house for school age female children, and another house for school age male children. Some homesteads have a kitchen house, where food is cooked in a large three legged pot over an open fire. There is, of course, a process to acquiring land to build your homestead. It starts with going to the inner council at the umphakatsi (pronounced om-pa-got-see) to ask for land to build your home. The umphakatsi is the local governance structure of a chiefdom. In many rural communities and chiefdoms, only a married man can ask the inner council for land to build a home. It’s expected that you give a number of cows to the umphakatsi for the land you are given. Once the land for your homestead is acquired, you can start building whatever structures you’ll need. I’ve noticed that building homes tends to be a local community and family effort.